Governor Rochas Okorocha of Imo State has revealed that former President Goodluck Jonathan offered him huge sums of money, a second term ticket and an influential ministry in a bid to woo him into the Peoples Democratic Party (PDP) before the 2015 general elections. The governor said he refused and remained with the All Progressives Congress (APC). He, however, did not state the actual amount Jonathan offered him. 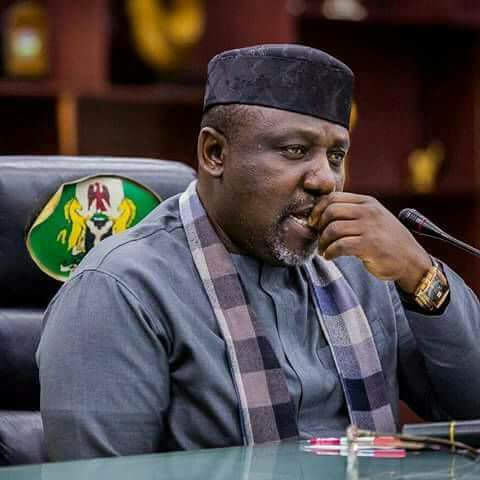 Speaking when the people of Njaba Local Government Area of the state paid him a solidarity visit on his 55th birthday celebration, Okorocha said he was at the time, convinced that the APC would resoundingly defeat the PDP because Nigerians were tired of the bad governance PDP represented. He noted, however, that in spite of his sacrifices and contributions to the victory of President Muhammadu Buhari by way of preventing the PDP from rigging their way to power; he had not been treated fairly. “Look at Rivers State where they rigged Rotimi Amaechi out by allocating over 1.2 million votes to the PDP, yet he got lots of juicy positions like the Ministry of Transport, NIMASA and all that. “But, in all these, have you seen me complain? No, because I know that one day, my time will come and President Buhari will remember me,” he said. The governor appealed to the people of Njaba, who had felt marginalized in the areas of projects and appointments to emulate him by being patient, and assured them that they would feature prominently in his next appointments. “It may look like it would never come, but if you remain consistent; it would surely come through for you,” he said.